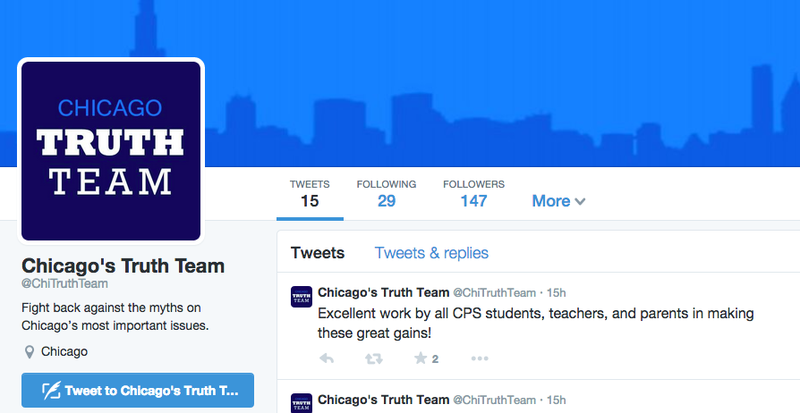 Looks Like We Got Company: Rahm Launches His Own "Truth Team"
Now we know we've struck a chord with the political class. Why? Because Da Mare and his team are up with their own 'Truth Team' on Twitter ahead of his election next year. As they say: imitation is the most sincere form of flattery. We're happy to share our tips with the folks running Rahm's re-election campaign. Just drop us a line at tipthetruthteam@gmail.com. We can gossip about how to best irritate Karen Lewis by watching her every move, meme-ifying her silly mistakes, and driving a narrative about how the candidate you're facing is incompetent, vain, and unprepared.